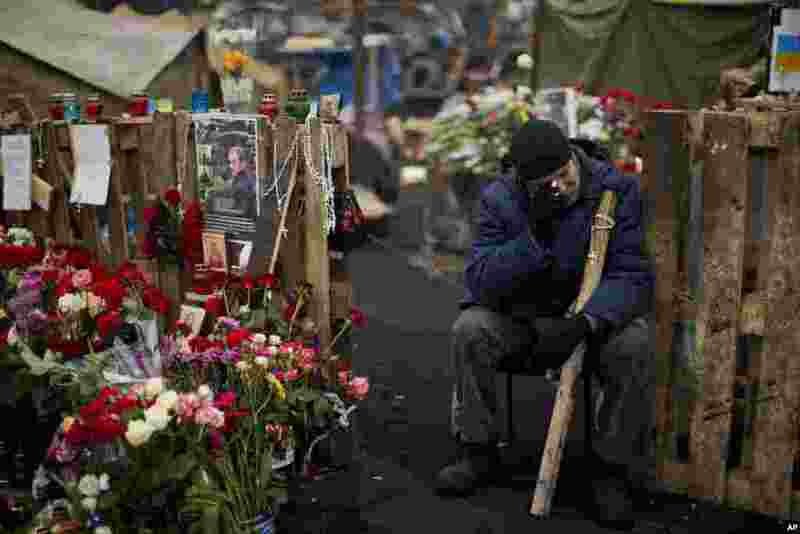 1 An anti-Yanukovych protester cries near a memorial for the people killed in clashes in Kyiv's Independence Square, Feb. 25, 2014. 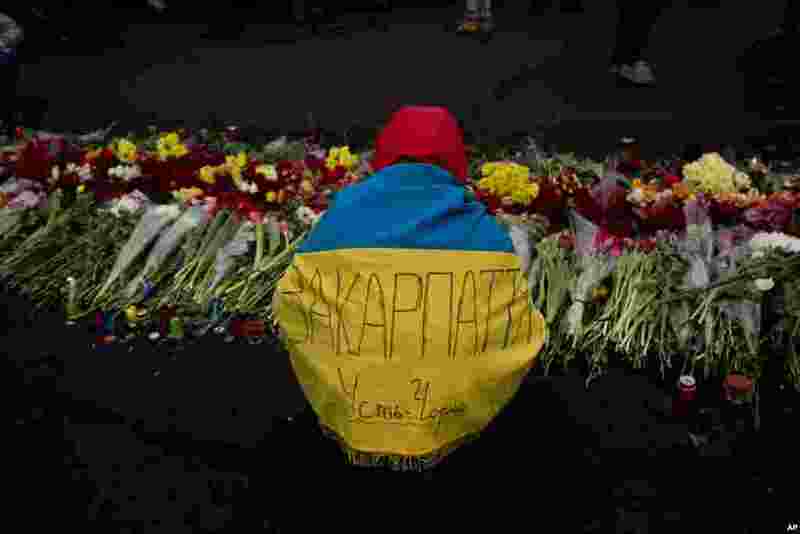 2 An anti-Yanukovych protester, wearing a Ukrainian flag with the name of his village written across it, places flowers at a memorial for the people killed in clashes in Kyiv's Independence Square, Feb. 25, 2014. 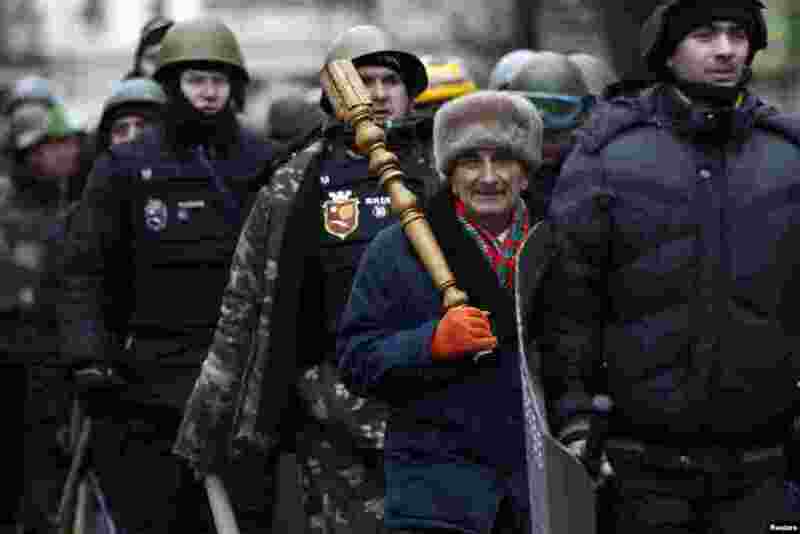 3 Members of self defense units stand guard at the parliament building in Kyiv, Feb. 25, 2014. 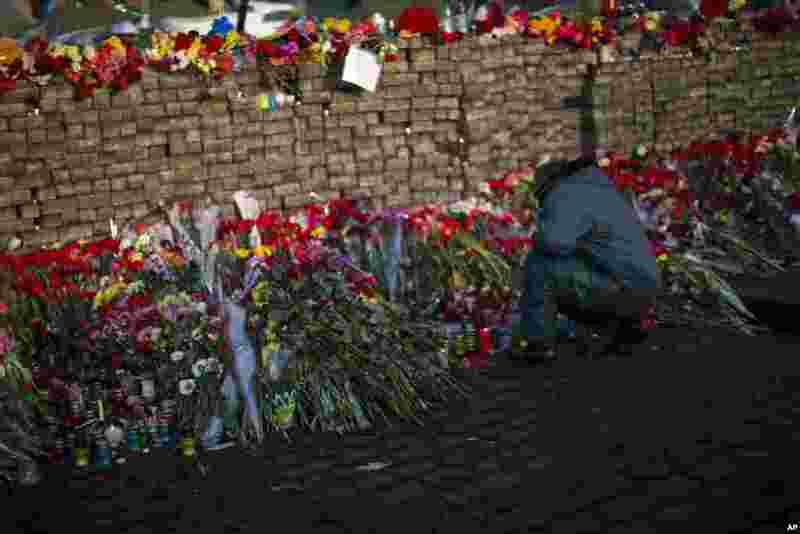 4 Flowers are seen placed at a barricade in Kyiv's Independence Square, Feb. 24, 2014.